Every designer is sure to find something they'll love in this 2.5GB bundle of creative assets. Sometimes you just need the right inspiration to bring an idea to life. You can always what you need for your designs to shine in the 2017 Creative Design Bundle. You can get it on sale now for just $39 (approx. £32) – plus take another 20% off with the exclusive coupon code DESIGN20. 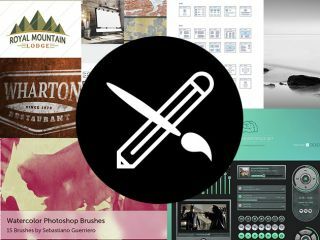 There is everything you could possibly need to tap into your creative side inside the 2017 Creative Design Bundle. When you sift through this massive library, you’ll find tons of assets, design templates, UI kits, brushes, textures, icons, vectors and much more. There is over 2.5GB of assets here just waiting to be put to use in your next project! The 2017 Creative Design Bundle is valued at $486, but you get it on sale now for just $39 (approx. £32). That’s a savings of 91% off the retail price for a bundle. You can save an additional 20% by using the coupon code DESIGN20 at checkout. That's an exclusive offer for Creative Bloq readers, so don't miss out on your chance to use it!